But this year, how about a gift that keeps on giving and the barbecue experience of a lifetime? We speak, of course, about Steven Raichlen’s Barbecue University™—ranked the #1 barbecue experience by the Food Network. 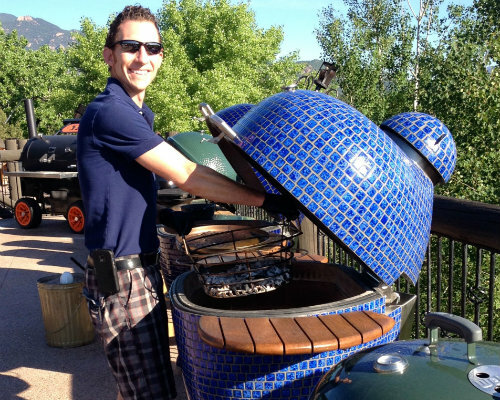 Imagine a summer camp for adults who love barbecuing and grilling, set at a Forbes 5-Star, AAA 5-Diamond resort—the luxurious Broadmoor in Colorado Springs, Colorado. Imagine 3 days and nights of burning grills, smoking barbecue pits, sizzling meats, succulent seafood, dazzling desserts, and dishes you’d never dream you could grill, from wood-fired paella to hickory-smoked ice cream. 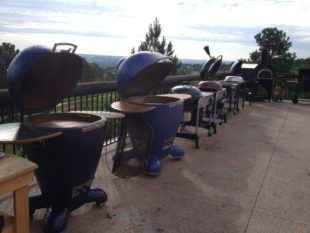 Students learn by doing, using the more than three dozen grills and smokers at our state-of-the-art mountainside classroom, the Cheyenne Lodge at the Broadmoor. The popular host of Project Smoke and Primal Grill delivers his lessons through engaging lectures and 30-plus carefully curated recipes. Attendees will master the five methods of live-fire cooking, learn how to grill every imaginable meat and seafood, and vegetable, and more (even cocktails) under Steven’s supervision. The theme of this year’s Barbecue University™ is Project Fire, based on Steven’s highly anticipated new book by the same name. If Black Pepper Baby Backs with Whiskey Vanilla Glaze and Koreatown Brisket don’t make you hungry, Caveman Lobster (roasted directly in the embers) and Salt Slab-Grilled Chocolate Brownie S’mores certainly will. And to whet your appetite, we’re sending that rib recipe (see below) to you as our holiday gift. Class concludes with a belt-loosening lunch of the day’s recipes. Students have afternoons off to enjoy the Broadmoor’s three championship golf courses, spa, hiking, fishing, and other activities as well as stunning Colorado Springs. Barbecue University™ is the ultimate holiday gift, an awesome bonding opportunity for husbands and wives, fathers and sons, mothers and daughters, grandparents and grandchildren, as well as friends and co-workers. 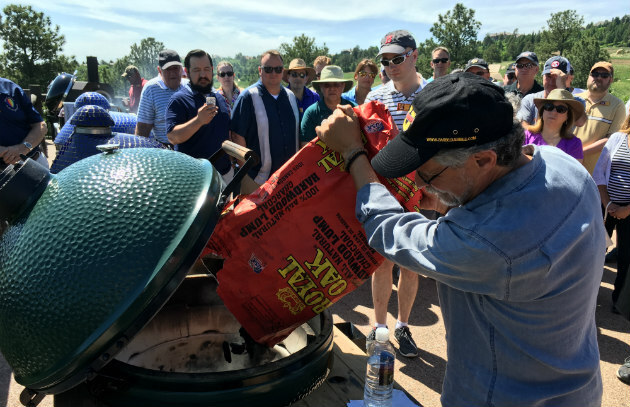 Classes for BBQ U™ 2018 run from May 27 – 29. Packages start at $2400 per person. For more information or to make a reservation, please call The Broadmoor at 855-634-7711. GRILL/GEAR: If you want a pronounced smoke flavor, cook these ribs on a charcoal grill. You’ll also need 4 hardwood chunks or 3 to 4 cups hickory or other hardwood chips, soaked in water for 30 minutes, then drained; a rib rack (for cooking the ribs upright, optional). 1. Place the ribs on a rimmed baking sheet. Combine the peppercorns, paprika, salt, sugar, and celery seed in a small bowl and mix with your fingers, breaking up any lumps in the brown sugar. Sprinkle the rub on the ribs on both sides, rubbing it into the meat with your fingertips, about 3 tablespoons per rack. 2. Make the glaze: Combine the whiskey, sugar, and butter, and vanilla in a saucepan and boil until syrupy, 4 to 6 minutes, whisking to mix. Set the glaze aside. 3. Set up your grill for indirect grilling and heat to medium-low. Brush or scrape the grill grate clean and oil it well. Add half the wood chunks or chips to the coals. Arrange the ribs on the grate, bone side down, away from the heat. 4. Smoke-roast the ribs until sizzling, browned, and tender. When ready, the meat will have shrunk back from the ends of the bones by about 1/2 inch and the ribs will be tender enough to pull apart with your fingers. Replenish the wood and charcoal as needed. Total cooking time will be 3 to 4 hours. The last 30 minutes of cooking, baste the ribs with the glaze. Baste twice more before serving. Pour any remaining glaze over the ribs and serve at once.